Last two hours of each stage will be broadcast on ESPN, so streams should be available. Ah yes, the annual crashfest. Always gets the big Italian names out of bed early in the year though. Hope nobody put down Delko-Marseille as their Not So Winners... nominee. 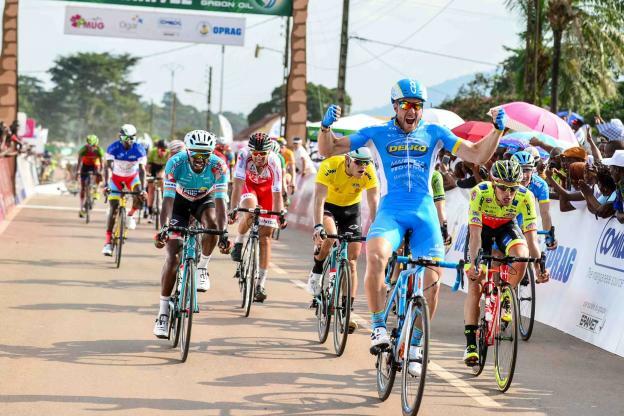 Ozzer recruit Brenton Jones won the second stage of La Tropicale today. Wonder how he'll get on in Europe. Hope nobody put down Delko-Marseille as their Not So Winners... nominee. However there's been no win for Direct Energie yet down in Gabon. They've ruled the roost the past few years there, so noting other than Gaudin's GC podium is a bit of a surprise. A presage for their 2018? The ESPN schedule has the coverage between 6pm and 8pm local time. But Areruya!!!! It's a miracle! Stannard was leading up until today. Going by the stage results, he and his (relatively) weak local team got mugged by JLT and the NZ national team. Bennelong can't be too pleased with their week's results. Maybe if they had sent who they wanted to the TDU, then they would have had a different and more competitive team here, but a few stage top tens and an 7th in the GC for Harper is a bit of a comedown for the team who have won the past three editions. 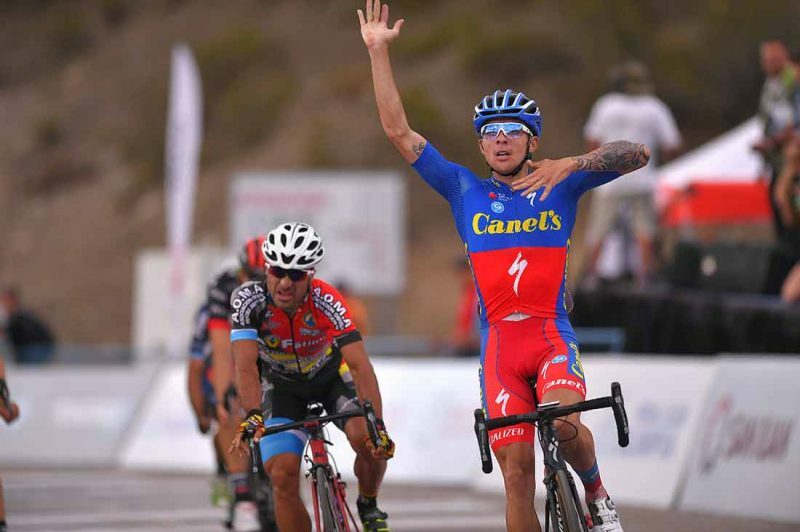 The main action was on stage 4 when the eventual top-4 of GC won by a huge margin. Losing to the Rojas Bros. last month is a distant memory. Good win for Ryan Mullen in the San Juan ITT, 25 seconds ahead of Ganna . Of course, he really should be winning TTs like this with a field of limited quality. Some live non-TT action! Crashes, splashes and er dashes! Gaviria and Escuela the crashers and DNFers. Sepulveda and Anacona the losers. 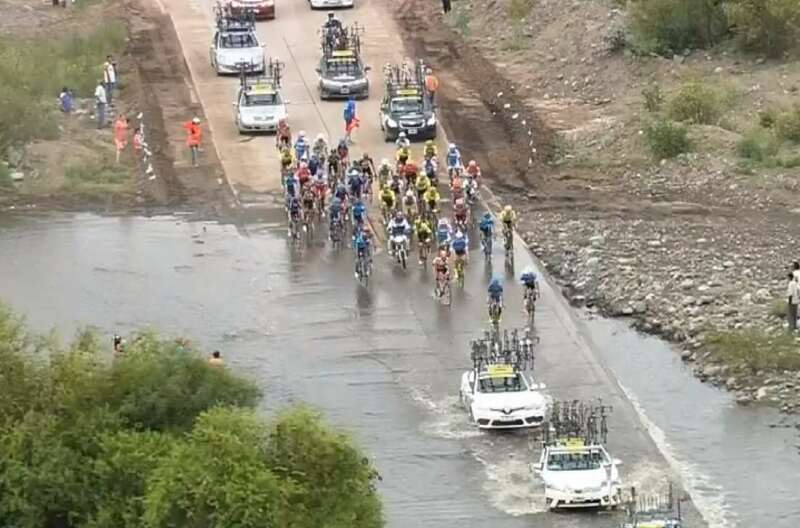 Meanwhile the race is on at everyone's third favourite UAE-based race the Sharjah Tour. This has enabled Vital Concept to take its first win with Direct Energie cast-off Julien Morice in the opening TT. However Jakub Mareczko beat out Vital's Bryan Coquard in both men's first sprint of the season. 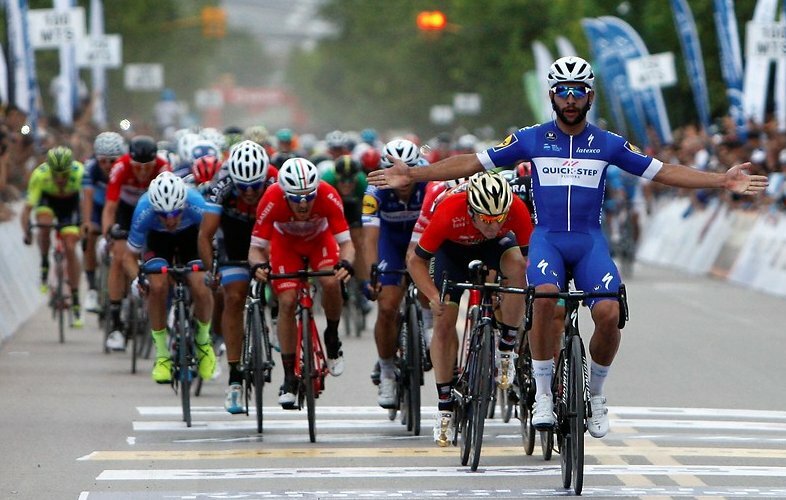 After Stage 2 Morice holds a slender two-second GC lead over Gaetan Bille (this year in the colours of Sovac-Natura4Ever with evergreen Davide Rebellin, who is also racing here) and Vital teammate and Coquard leadout Kris Boeckmans, formerly of Lotto-Soudal. Sam Bennett wins the Race Melbourne warm up for the Cadel race. Viviani a distant second. Steele Von Hoff third. Arndt fourth. Caleb Ewan went too early and ended up fifth. Results are already in from the first event, and there is a little bit of an expected surprise there. After all he has been through it is great to see John Degenkolb racing well again. He is not my favorite rider, but still deserves better than a left-lane driver head on, and last year wasn't really a great consolation. Hopefully, this year will be better for him - but that will not be a surprise. The expected surprise is Sonde Holst Enger on 2nd place. If last year wasn't too good for Degenkolb, it was downright forgettable for Sondre. He is "the cube-shaped bouncing ball" that will go very far, but in god-knows-which direction - according to former coach Stig Kristiansen. Last year, he was bouncing fast downwards (sounds impossible, but he can do it) from some quite repsectable results including a 3rd-place finish behind SAgan and Kristoff on the TdF stage to Bern. With he was getting nowhere, but this year he is a bit of an internal wildcard on the team. Judging by his first race result (way too early and not the most serious race) this year looks like the best of his career (he usually starts racing decently around mid-May). The usual Mallorca highlights from TDP, but they do seem to be shorter this year. These should all become available some time later. SHE gave it a bit of a bike throw, but I don't think it was that close. Maybe half a bike length in it. I was looking forward to reading a race report this morning but nothing was found. A rest day in San Juan? The race was marred by a number of crashes in the damp conditions. Valverde attacked off the front all day, Brambilla yo yo'd off the lead quartet. Muhlberger dropped out of contention on the final descent. Probably a crash but maybe a mechanical. Come the sprint in Deia, Wellens squeezed Moscon out on the final corner. Re San Juan: I noticed that the race thread over on CN for today reads like a Clinic thread. A roughly translated quote from over there. "I don't know that rider's name but we tried to catch him and , well.....he just put more time into us"
Finally found it on etb. Trofeo Sierra de Tramuntana's 15 minutes of highlights. 4 minutes of the first trofeo. Now, for those wishing to see something really special, the last 35kms of San Juan, yesterday. He should come over to Europe. He’d win the Giro, Tour and Vuelta, plus the worlds and every classic. I had read your corrections with regards to my calendar skills in an earlier post. Moreno wins (just had enough of a buffer to avoid a major embarrassment on the last stage), but Kipkemboi was the real star. 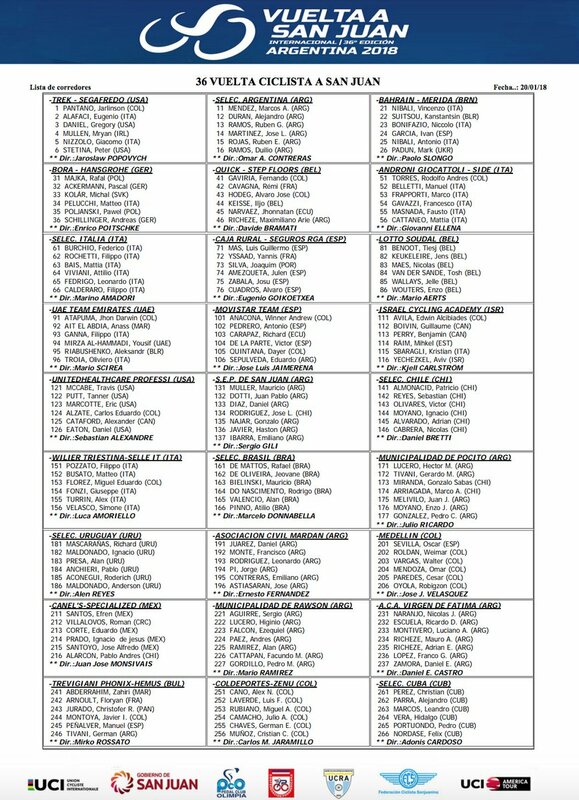 Coquard beaten twice by Mareczko, so for the moment the lack of a TdF wildcard doesn't look too silly. Didn't see the sprint stages, but the Queen stage was pretty good. One improvement would be a slightly shorter TT. I saw the ITT and the final stage on duty. It played out exactly as you'd expect - break goes, gets 2:30 minutes, escapees attack each other on penultimate lap, everyone is caught on final lap, sprint. The ITT ... was an ITT. I agree that it was too long for a stage race with this lack of difficulties, becoming too decisive for what was otherwise two mass sprints and a small group arriving together. Other than the crossings of the finish line, there was no indication whatever of how far along in the stage they were at any given point (except for a running clock that showed the time raced, which is nice, I guess, but doesn't say anything about distance covered or left). I'm dedicated, but not even I am prepared to memorise the route map of a 2.5-hour crit stage including local landmarks etc. just to be able to tell if they're at 5 or at 3 km to go. Contrary to the road stages, there was no live timing in the ITT - where it would have been very useful indeed! All we had there was one quick look at the intermediate standings halfway through (which later rose to infamous prominence as the 'provisional stage result'). Maybe the Arabic commentator(s) said something about riders' ITT times or the distance to go ... but I don't understand Arabic. If you want your race to be taken seriously and develop it into something more than a gadget that you can brag about to your sheikh peers, this is simply not good enough. Ignore the obvious link mistake. Trofeo Andratx's 15 minutes of highlights from rtve.